Rose bush care and maintenance basically boils down to getting the basics right. Roses are a lot tougher than many people think and when all the basics are in place, roses will offer rewards far greater than most garden plants. 1. Choose an appropriate site for your roses. Roses prefer a sunny site and do not like constantly wet conditions. Roses do need to have an air flow about them but they do not like close exposure to strong winds. A little shelter from strong winds will make a big difference. Always read the attached labels and do as suggested. There are general guidelines for taking care of roses but each of the different types of roses have their own preferences, so try to match that as much as possible. 2. Now that you have chosen your site for growing roses, read our article on how to plant roses. 3. Read our article on how to prune roses. Now that you have chosen your roses, your site and planted them there are some basic guidelines that apply to gardening and caring for roses of all types. Watering roses, roses like to set their roots deep in the soil. Because of this they are remarkably drought tolerant. The first year is the most important for watering your roses. If the soil is drying out or an impending dry period, ensure that you roses are well watered for that first year. After the first year you will only need to water occasionally if at all. Care of Roses - Mulching your roses. Roses love a good mulch at their base.. Mulching helps retain moisture, reduce weeds. Mature farmyard manure is best, otherwise use bark mulch or garden compost. Taking care of Roses – Deadheading your roses. Help your rose to conserve energy and produce new blooms by removing any spent blooms. Other than encouraging new blooms it also keeps the rose a lot tidier. 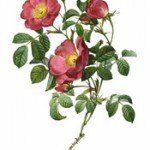 Rose bush care – Rose diseases and pests. Certain diseases and pests will affect some roses more than others. There are 3 main issues associated with roses and regular routine will effectively deal with all of them. 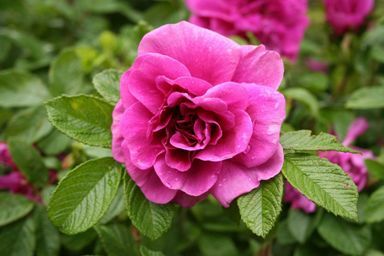 Greenfly, Mildew and Blackspot are the main culprits and a treatment starting in April will certainly make your gardening and caring for roses a lot easier. Weeds and Suckers – It is far easier to prevent weeds from growing than trying to remove them after they appear. Mulching at the base of the rose is the most effective method. You could also consider growing some smaller, but not so nutrient hungry plants at the base of the roses. Suckers are fresh shoots that grow from the very base of your rose. Simply clear the soil away and firmly pull the sucker down and away from the rose. January, Check that frost has not loosened the soil at the base of your roses. If it has firm it back in with your heel. Check that all supporting stakes and ties are secure. If conditions are not too wet now is a good time to dig up soil for new garden beds. The frost will help break up your soil. 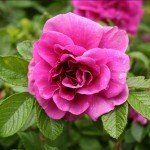 February, Again, if soil is not too wet you can prepare your new rose beds. In warmer climates floribunda roses can be pruned. Watch out for greenfly and caterpillars and treat if needed. They adore fresh new growth and can do a lot of damage. March, Depending on your local climate try to have all new rose plantings in place. Pruning rose bushes and standard roses can now be done. Keep checking for weeds and apply mulch if not already done. If you have been growing roses in containers they will appreciate a feed. April, Most rose pruning should be completed by now. Apply a good rose fertilizer. Watch out for blackspot and of course greenfly and mildew. May, The care of roses in May is much the same as in April. If using liquid fertilizer apply it to damp soil. If you think some of your roses might be a little behind in growth apply a foliage fertilizer. June, Apply a quality fertilizer to boost future blooming. Keep pests and disease at bay by applying a mixed systemic fungicide/insecticide spray. July, Deadhead any spent blooms. If mulching, fertilizing, spraying has not been done, it needs to be done as soon as possible. Care of Roses for August, If al the previous issues have been dealt with, there should be very little to do except dead heading. Do not apply fertilizer. September, Taking care of roses in September means keeping on top of deadheading and mulching. Climbing roses and standard rose types should be lightly pruned. 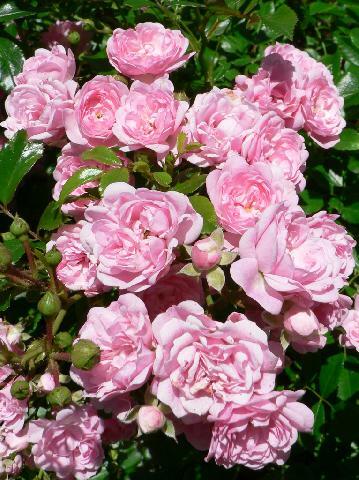 Now is a good time for rose cuttings if you are thinking of growing roses from cuttings. October, More mulching if necessary, gather and properly dispose of leaves. 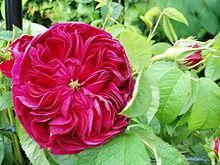 Do not put rose leaves in compost s they may contain diseases etc. Finish preparing any new rose beds to have them ready for planning roses at the end of the month. Taking Care of Roses in November, Cut back long stems that might be exposed to strong winds which will cause the rose to rock and loosen its roots. In very cold areas the base of roots can be protected by applying a 2 inch layer of top soil which can be removed in spring. Alternatively you could use straw. If you have your rose beds ready continue planting your new roses. If you are not ready or the weather conditions are too severe you can heel in your bare root plants or put in pots. Care of Roses in December, All planting should be completed at this stage. If conditions are suitable you could start turning over the soil for new rose beds. Other than that there is nothing else happening as regards gardening and caring for roses.